Joe and Liza Tremblay met in college and started their culinary education first in New Orleans and then in Manhattan. 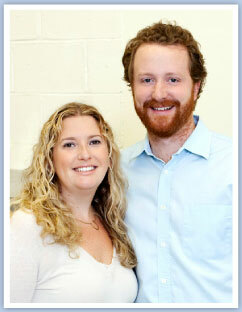 Joining their culinary and business backgrounds, Joe and Liza opened Bay Burger restaurant in Sag Harbor in 2007. Over the years Bay Burger has become a hub of the Sag Harbor community serving homemade, family-friendly food, locally produced beer and wine, and Joe & Liza's Ice Cream. Now for the first time our legendary ice cream is available in gourmet shops, restaurants and farm stands all over the East End. Where the community comes together to enjoy great burgers, fish sandwiches, lobster rolls, and our premium small batch all natural ice cream. And now you can find it at your favorite gourmet shops all over The Hamptons!